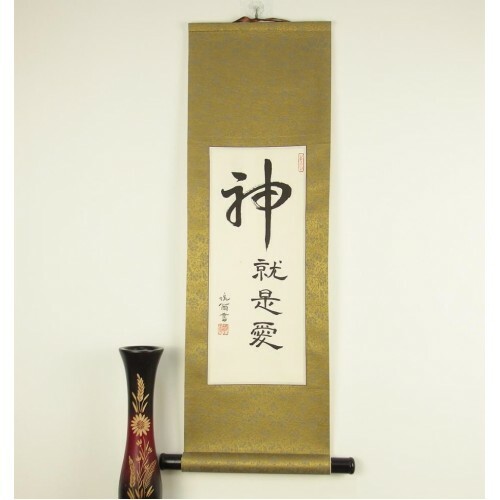 This beautiful Asian scroll features the symbols for "God is Love" in Chinese. It is pronounced "Shen2 Jiu4 Shi4 Ai4." Every Chinese Christian will understand this phrase as well as any Chinese person who has heard of God. 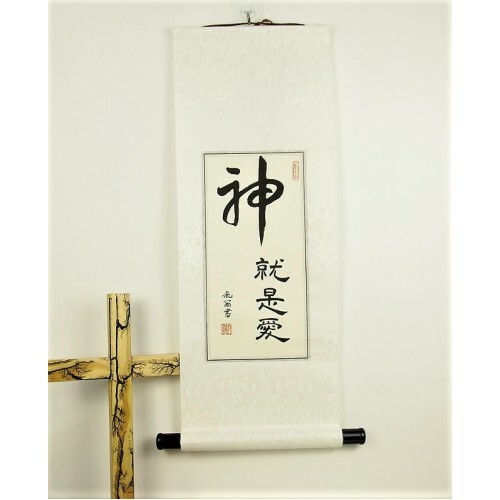 This Christian Chinese art is an excellent choice for hanging in your home or giving as a gift. 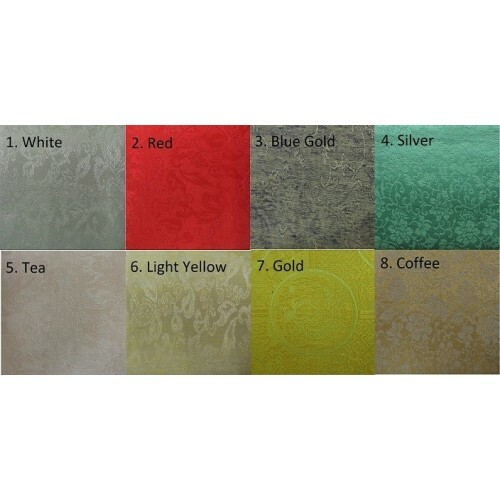 It can not only bring Asian culture into your home, but can be a continual reminder that God loves you.